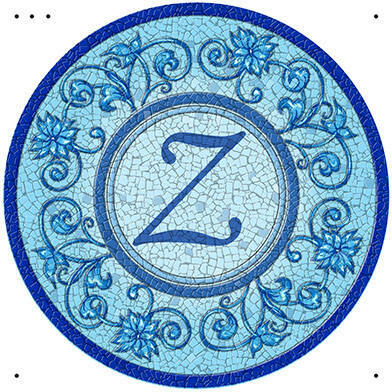 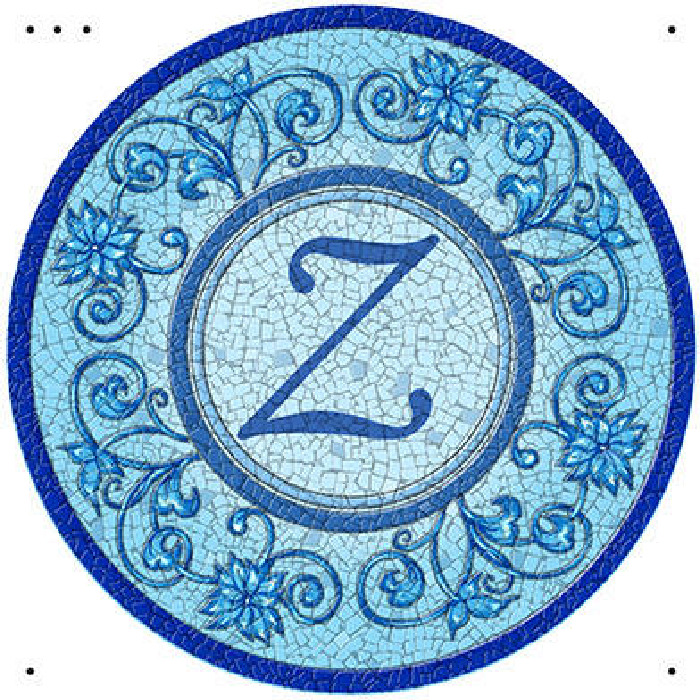 Letter A is on the ordering page, where it can be enlarged, to show more detail. 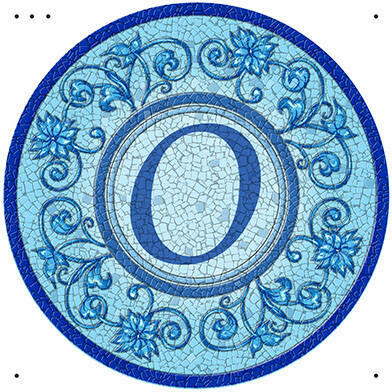 Return to the Pool Graphic Mosaic Mat Page to place an order. These Monogram Mats are custom made. Production time is about 2-weeks, with shipping to follow. 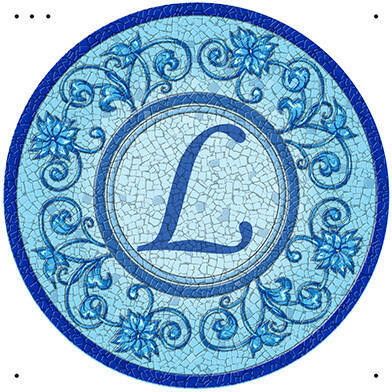 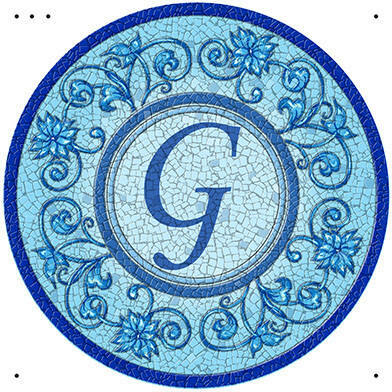 The Monogram designs are only available in the large 47-inch size (119.4 cm). They are produced only using the font and colors shown above.